Giulietta studied Social Anthropology at the University of Manchester, graduating in 2016. During her time in Manchester, Giulietta was involved in the project ‘Voices for Syria’ with Syria Relief, focused on raising awareness around the Syrian Civil War. Giulietta was a volunteer caseworker at Bail for Immigration Detainees, working to challenge immigration detention in the UK. She worked on the Separated Families Project, providing legal advice and support with bail applications to adults in immigration detention, separated from their children. 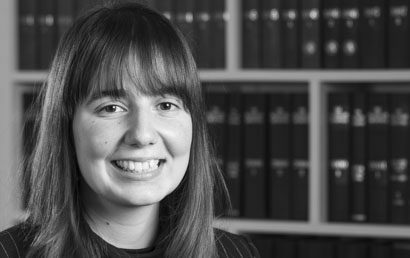 Giulietta joined Wilsons as an immigration caseworker in 2018. Prior to joining Wilsons, Giulietta worked as a support worker for young unaccompanied asylum seekers in semi-independent housing in Croydon and Surrey. This involved providing support and advocacy with immigration matters, accommodation, local authority care, education and personal wellbeing. Giulietta supported 9 young people between the ages of 18-21 in their transition into adulthood. She is passionate about empowering young people to be able to self-advocate and make their voices heard.